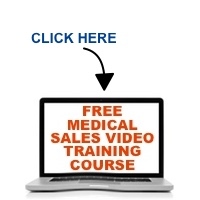 Want to rise to the top of the medical sales profession? Then stop playing it safe by avoiding anything that might cause a customer to criticize you as being “too pushy.” Sure, there’s a fine line, but if you’re not dancing close to the line and stepping out of your comfort zone when selling to your customers, you’re leaving sales opportunities and money on the table. Listen as Mace Horoff discusses the need to be more assertive with your medical customers to keep your sales career moving forward and to help them care for their patients. Previous PostHow a FREE 15 Minute Podcast Can Drive your Medical Sales SuccessNext PostWho Is Your Medical Sales Presentation About?